I’ve been “on the TI train” for 12 months. Thanks to TI and this Forum I was able to complete 1000 meters of continuous freestyle within six months. My anxious question is: Will it hold? Is it like biking? My grandma didn’t ride a bike for 55 years but was able to do so again, when someone suggested she do so. So how long will my current swimming success hold? Welcome to TI and thanks for engaging with other members of this Forum. As you will soon discover, your fellow TI swimmers are a thoughtful, supportive and generous group and will eagerly share the lessons they’ve learned. 2) Improve by finding and fixing weak points. Those will be more obvious — and easier to fix – in the early stages, and more subtle — and require more patience and more strategic thinking later. 3) Love the ‘plateau.’ This will become more important a few months to a year after you start TI as the improvements take longer to achieve. You’ll spend weeks, and eventually months, practicing without being conscious of any improvement. During these times, maintain faith that change IS taking place — at the level of neurons. After a period of time that change will consolidate and produce a thrilling forward leap. 4) Become passionately curious. Swimming is the most complex, challenging and non-instinctive of all physical skills. This is because it’s an aquatic skill while humans are terrestrial mammals. If you tirelessly seek to expand your knowledge and understanding, you’ll enjoy swimming much more, make steadier progress, and be able to have great confidence in your choices. 5) Practice is its own reward. Whatever goals have motivated you to begin swimming, strive to progress to a point where those external goals — while remaining sources of motivation — essentially become beside the point. The motivation that brings you to the pool day after day, year after year, decade after decade is the knowledge that your practice is the high point of your day, it leaves you energized mentally and physically for everything else you do, and–over time–produces enduring positive change in body, mind and spirit. Werner, there is so much insight squeezed into the five points Terry cites. I will complete my first year in March and, while the plateaus Terry describes must occur, the joy remains because my only agenda is unhurried simple ‘noticing’. I seem to find endless satisfaction in quietly and endlessly experimenting with the hundreds of possible adjustments and variations. I don’t know if others have tried the following, but I routinely wear very efficient ear plugs to provide a more uniform acoustic dimension. It eliminates the piercing high frequencies of airborne clatter when rotating to breath, making the whole experience more like the deeper muted sounds of .. well being immersed. In this quieter fluid environment, kinesthetic and visual sensations become top of mind, even providing a break from my own interior monologue. Good luck! 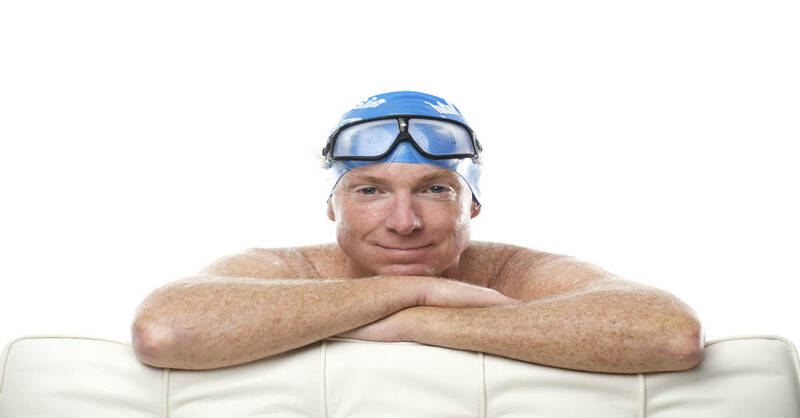 These 5 points are the key to achieving our swimming goals…. I think that keeping expectations relative to the time/season is also something to think about. I was a swimmer all my life and now moved to Triathlon. My swim times will never be as good as they were in College. I accept that. I also accept that my times will change from year to year depending on how my style of training changes and depending on what life throws at me.